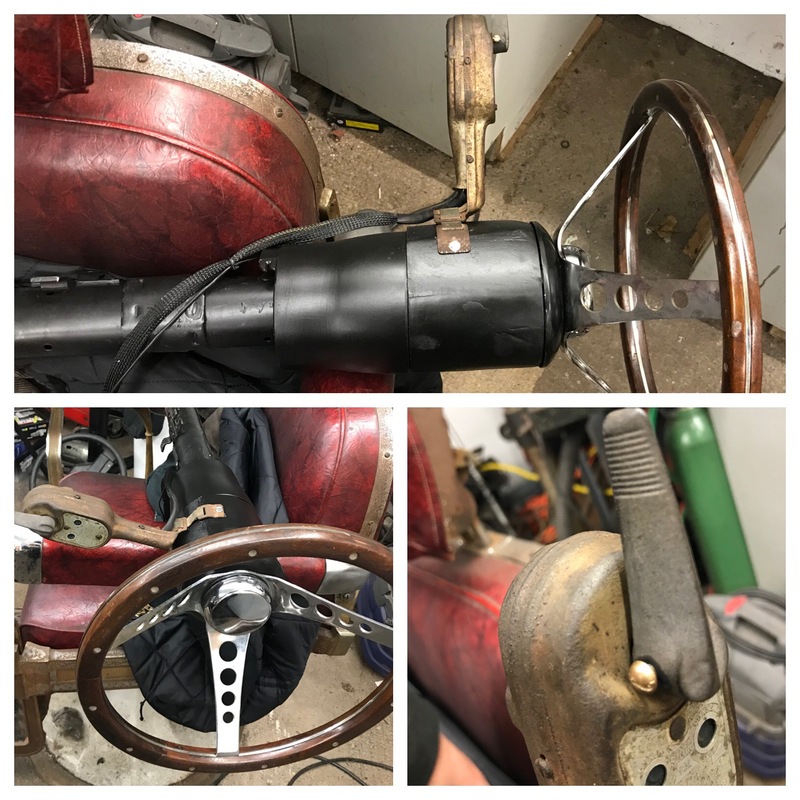 Register Log In Moparts Forums Street Rodders Advice needed on wiring harness kits, steering column, etc. I am mounting a 1953 Dodge truck cab and box on a 1986 D150 chassis. The chassis is a slant six with manual overdrive manual trans. Are the $30-$100 wiring kits on EBay good enough to use? Can I just buy a stainless steel street rod column for $150 on EBay also and expect good service from it? New at this so any advice is appreciated. The original plan was to use the origins wiring and steering column from the 86 but the truck had the Lean-burn type ignition and the wiring was brittle and cracked with a lot of bare spots. Better to use a Mopar type of 1wire alternator or just use a cheaper GM type? This will be a rat rod so nothing has to be pretty, just functional. I plan to drive this truck a lot when finished. I assume you intend to use a Mopar electronic ignition (or point dist) and a carb? If so, many aftermarket wiring harnesses will work just fine. I would stay away from the cheapest harness you can find, but I think most between $120-$200 would work well. The really cheap ones are really cheap for a reason. You want a harness with different colored wires and are labeled every few inches. Pick one with some after purchase support. 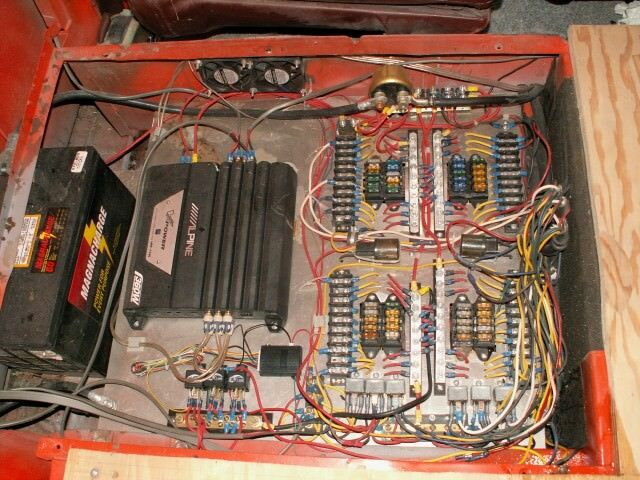 Rebel Wiring, American Wiring, and a few others have a tech line for if you have troubles. The 86 steering column will work OK with the aftermarket harnesses. I don't bother with any one wire alt, too many have issues. Give me a standard wired alt please. 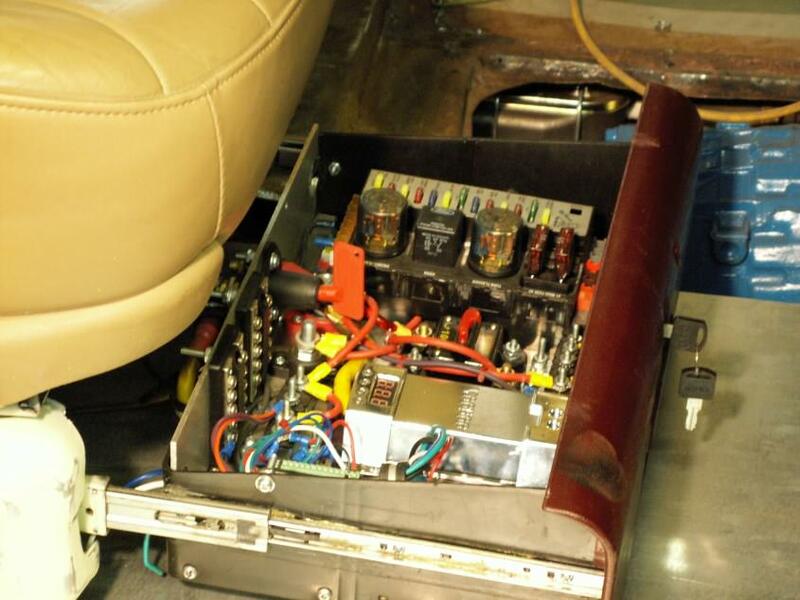 one area that seems to cause problems in all wiring systems, from simple 8 circuit kits to the complex systems used in OEM vehicles of today, are the terminations at the various plug-ins. this is caused by several things, ranging from using cheap terminals, using the wrong tool for the crimp, or not crimping the terminal correctly. if a person is not familiar with how to terminate wire ends, Utube is your friend. and it goes without saying, stay away from those 673 piece terminal kits with the crimper for only $1.32 from elchipistan fright. way better terminals, as well as reasonable quality crimpers can be had from places such as dell city for not much more money. make sure the kit you purchase has the correct gage wire for the load it has to carry. the charging and starting circuits better have much larger gage wire than the tail light circuit. i have run into, over the years, a couple "bargain" kits that had way undersize wire on all circuits. that is just asking for trouble. finally, purchase some extra terminals and wire of various sizes to practice on making correct termination crimps with the tool[s] you decide to use. it's a little extra money, but well spent, especially if you have seldom [or never] done this work. it will pay off in the long run. every new wiring tool i buy [and i have a BUNCH of 'em] i practice with before i tackle a job. this allows me to get a feel for the tool, as well as view how good of a job it will do. take your time and plan out the route of the circuits, mount the kit components carefully, and you will be happy in the end with a job well done ! Lots of good info here! I am not going to be using the front clip from the 53. Only using the box, cab, and a grille shell. No problems there. My dad is an electrician so I am not worried about the proper tools being used. He is very good with house wiring and was a locomotive electrician so we have that covered but just couldn't see the quality differences in all of the wiring kits out there. I used a Rebel kit on my 40 Plymouth coupe and was happy with it. Value seemed good. I have a lot of people swear by the GM alternators but that don't make it true. I will keep it all Mopar in that area. I will convert the ignition to a points style distributor unless I stumble onto a cheap electronic unit. Last edited by dusterguy; 12/04/18 01:24 AM. I would never pay money to have wire that says what it’s for on it. I thought that was why you use different colors? Plus how will the harness maker know what stuff you plan on? I’m wiring my 54 dodge pickup right now. It has a big block with an electric fan and I decided to run a mechanical oil gauge and an electric water temp gauge. I’m going with a foot stomp high beam switch and the dash has amber turn signal leds and a blue high beam indicator, but no neutral light or oil pressure warning light. I write lists of what wires go where- thru firewall, to keyswitch, front of motor to firewall, firewall to tail, to nose etc. Then once it is all sort of figured out I make all the runs with the ends installed- ring terminals, headlight plugs, etc. once the runs all have one side done you can loom or tape it all up then install connectors or solder & shrinkwrap it all together. There is usually a whole lot of zip tying everything at the end to keep it all tidy and I like to use blue painters tape both to group wires together and to make labels for the ends of the wires. I keep lists of what colors the wires are for each run also for future reference. On my ‘54 pickup I re-used the column from the 89 dakota that also gave it’s frame and front suspension for my project. I completely gutted the column and shaved all the bosses off it for the ignition shifter and turn stalks. I think late model columns look cheesy in old cars. I moved the key to the dash and modified the ‘54 turn signal stalk so it would bolt to the smoothed column. The d150 should give up a good fuse box you can re-use. Just figure out which busses will be constant hot and which will be powered up by the acc and run circuits on the key. Good luck- sounds like a fun project! Post some pics of the mockup if you can I’m not sure what you’re going for. As Garrison Keillor said in a fictional town News from Lake Wobegon, "it's been a quiet week in Lake Wobegon, Minnesota," and it is also a quiet day here in Resume Speed, British Columbia (not quite so fictional) so I'm going to bore you with more then you want / need to know. Just so it looks like I know what I'm talking about (don't fall for it, its a trick) the two pictures are of previous projects. I usually wire from scratch rather then use a kit. I am also doing the engine / front frame transplant (1992 Dakota) but in my case it's a '56 Plymouth 2 door wagon. I have decided to use all the original Dakota wiring harness from one end to the other, partly in probably a futile attempt to trick the fuel injection computer into thinking it is still a Dakota. Yes, some of the wires are crappy but can be replaces or cleaned up and re-wrapped etc. and rather then eliminating the ones that I don't need, I am leaving them all until AFTER I get it running (?) and then eliminate some if necessary. Please consider using the old harrnes and then modifiy it? Good luck. One nice thing that bears repeating about using the factory harness is that all the right connectors are there. Even if you need to replace it that old connector probably has a part number on it to help you find another and it definitely is a physical example of what you need. Unlike universal kits with universal (GM) connectors you know what you have fits.